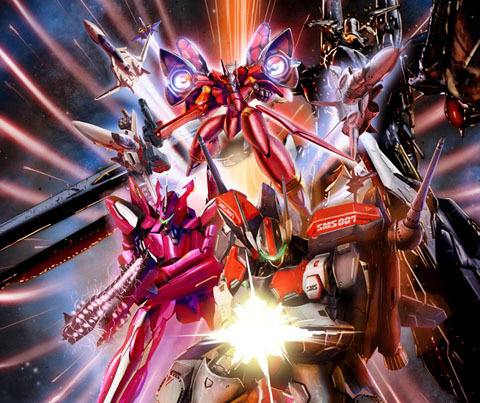 It turns out that the fantastically talented Hidetaka Tenjin is having a second book published, with the first being his brilliant Macross specific Valkyries. Simply titled as Hidetaka Tenjin Works the book contains a total of 84 illustrations; 34 from Gundam, 10 from Macross, 6 from Votoms, Aquarion, Eureka Seven, Patlabor as well as other fighter jets. The PSP games Macross Ace Frontier and Ultimate Frontier also had box covers by Tenjin as well, so they are notable from a gaming standpoint. He’s no stranger to other games too, as he penned the amazing cover for Gradius V.
It’s also worth pointing out that much of the amazing CG work seen in Macross Zero was assisted by Tenjin, so he’s not just your average model kit box art illustrator. The book is released later this month and you can pre-order it here. Wonderful news–I loved VALKYRIES, and am a huge fan of Hidetaka Tenjin. Looking forward to this, since his art for the Macross PSP games are excellent.